There are more than 3 million breast cancer survivors in the U.S., with more than 1 in 8 American women forecasted to face the disease during their lifetime. But what can a woman do to reduce her risk of developing breast cancer or prevent a recurrence of the disease? According to Dr. Susan Tannenbaum, chief of oncology at UConn Health's Carole and Ray Neag Comprehensive Cancer Center, good nutrition, diet, and exercise are the key ingredients to achieving a healthier you to help prevent the disease from returning after breast cancer treatment, or to prevent it from developing in the first place. "If you can lower your risk factors for breast cancer, which are mostly the same ones for preventing cardiovascular disease, it's huge for your chances of cancer prevention," says Tannenbaum. "We must return to basics and follow a daily prescription of a healthy diet and exercise to prevent cancer." Maintain a healthy weight by being as lean as possible. Move more, and for at least 30 minutes every day. Eat well, and avoid sugary drinks. Enjoy a plant-based diet of vegetables, fruits, and whole grains. Reduce red meat, and avoid processed meats. Cut down on alcohol, and if women drink any alcohol at all, they should limit their intake to one drink a day. Eat less salt, and fewer sodium-processed foods. If you can, breastfeed your baby for up to six months. 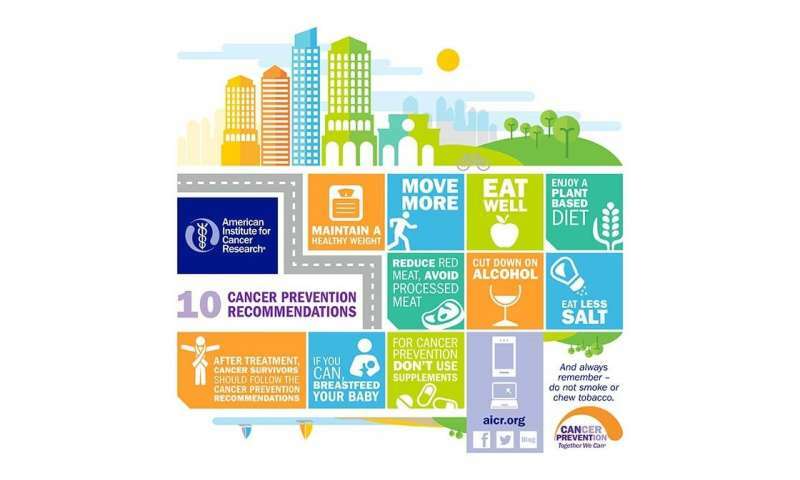 After treatment, cancer survivors should follow cancer prevention recommendations. Check in with your primary care physician regularly, and perform breast self-exams monthly. Live a healthy lifestyle; remember, everything in moderation. Only take vitamin supplements, like vitamin D or calcium, if you have a confirmed deficiency. Make sure you are not on medications that you can actually avoid taking simply through enhanced diet and exercise. "There is a lot of evidence that demonstrates the benefits of both plant-based foods and exercise to prevent cancer, and to prevent recurrence in survivors," says Kerry Coughlin, a registered dietitian at UConn Health's Neag Comprehensive Cancer Center who is a board-certified specialist in oncology nutrition. UConn Health's oncology nutritionists work closely with patients and caregivers, giving advice about nutritional needs before, during, and after cancer therapy.